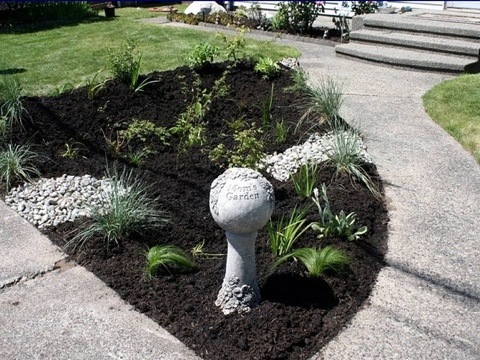 Here are examples of our residential rain garden projects in Puget Sound. 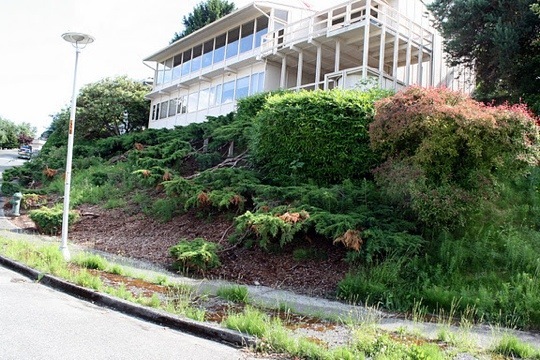 Before and after photos of a recently completed hillside and rain garden in Seattle’s Inverness neighborhood near Sand Point. 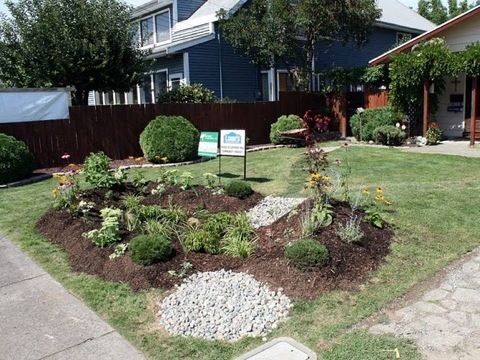 8th Avenue NW in Puyallup is the site of more than 20 of our rain garden projects installed along a three block stretch. 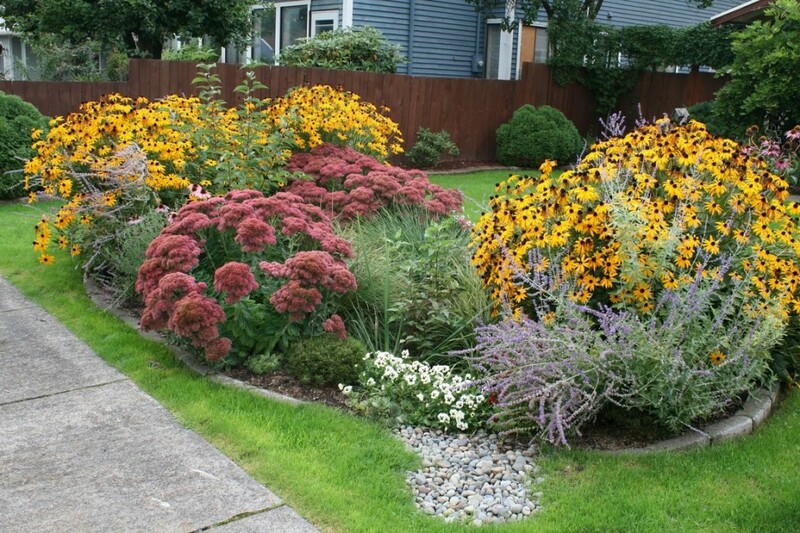 This rain garden has a colorful collection of natives and hardy cultivars. In the area? Worth a stop and walk. Start at the 900 block and meander West towards Karshner Elementary School. Interpretive signs are scattered throughout. 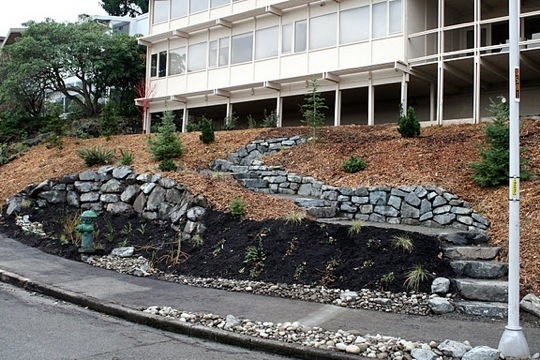 A larger green streets project is planned by the City for 2012. 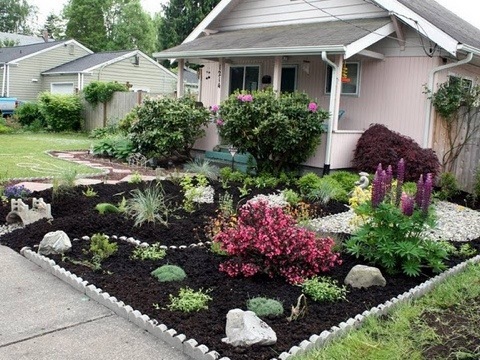 Rain gardens were also featured in This Old House magazine. 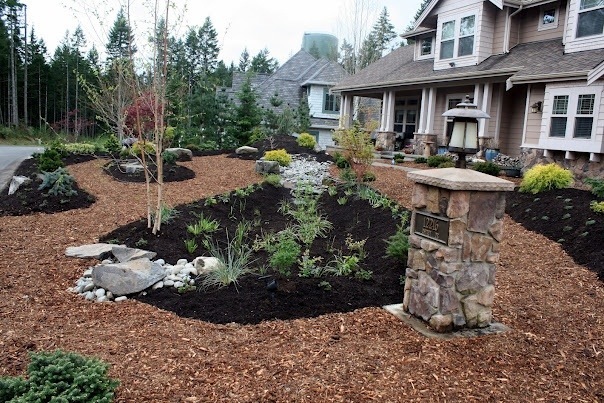 This project in the Canterwood neighborhood, Gig Harbor, connects front and back roof downspouts into three rain gardens. 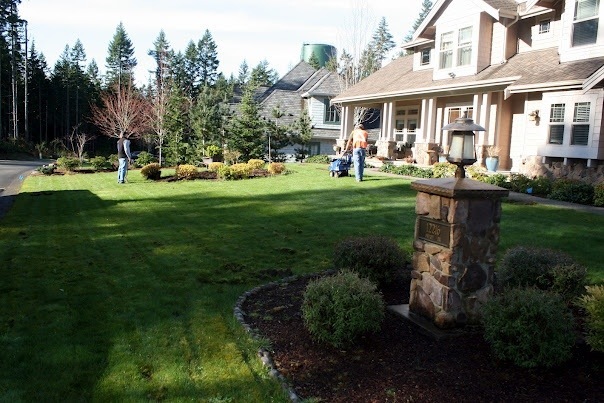 The landscape is completely transformed with NW natives and hardy cultivars, edibles, compost amended soils, and finished with arborist chip mulch. 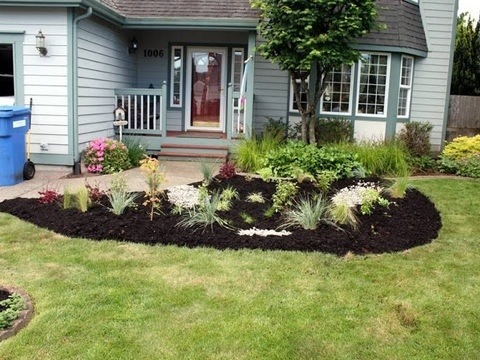 More front and back yard photos at this link.